It’s that very day where fairytales really do come true. Choosing a wedding venue can be one of the most stressful decisions you will ever have to make, and your vision has been in your mind for as long as you can remember. This day will forever be your special day. Will you choose a barn venue or a formal venue? Something in the country or something in an historic downtown area? Will your guest party be intimate or a larger guest list? Whatever you choose, it will be your perfect day. The day you both say “ I do”…. Welcome to Davidson County, home to some of the most unique wedding venues. Each venue below has its most unique flare, not one is alike. Happen upon this photogenic house and grounds and make your wedding the beautiful event you want it to be. Enter on your special day into this renaissance revival architecture and beautiful green terra-cotta roof. Choose any packages to include indoor and outdoor options. The Library. The library is crafted of carved Rosewood, which was legal to harvest at the time the house was built, but is now listed on the Endangered Species of Wild Fauna and Flora and protected worldwide. Ornate Dental Moldings crown the walls, and the shell designs above the bookcases are mimicked on the exterior of the house above the Library doors. This unique space holds up to 80 for an indoor wedding. and the beautifully carved mantle serves as a great backdrop for the bride and groom. The Blue Room. The Blue room makes a perfect place to set up a buffet station with easy access to the kitchen through a connecting door. It boasts of five tall curved windows overlooking the back patio and future paved brick terrace under our large white tent. Many colors and styles show well in this beautiful room. Bridal Suite & Groom's Suite. Two rooms upstairs are great spaces for your bridal party to relax, make memories, take photos, and get ready. Plenty of mirrors to go around in the bridal suite as well as seating and a stunning dressing room en suite. The guys suite boasts of a dart board, pool table, and tv. The Gold Room. This Warm Spacious room can easily fit thirty seated guests for your large party. Just off of the stunning staircase, this room's Large windows look over the front lawn. It's warm gold walls make it both formal and cozy. The Gallery by Left Lane Productions Inc. Enter in to what was established on January 20, 2011 as a long time dream and passion of Jessica Nance, who also owns Left Lane Productions. A planning, directing and floral design business. Allowing this venue a very unique quality offering an inclusive intimate setting. This space is home to beautiful hardwoods throughout, walls featuring art by Steven Sebastian and a ceiling graced with ornate ceiling tiles. Elegant and intimate is what to you can expect. They have now grown from a one planner operation to multiple planners and event staff to make your wedding a moment to remember! Built in 1916 and on the approximate site of the John Thomas house, founder of Thomasville. The past history of this space welcomed the Jones/Efird’s Department Stores and once housed WMFR’s radio broadcast from the mezzanine. With in walking distance, many historical sites can be visited. The Big Chair, the Bell Tower Fountain, the Depot and the town gazebo. This venue can easily accommodate 500 guests. Making this one of the most popular wedding venues in the Davidson County area. 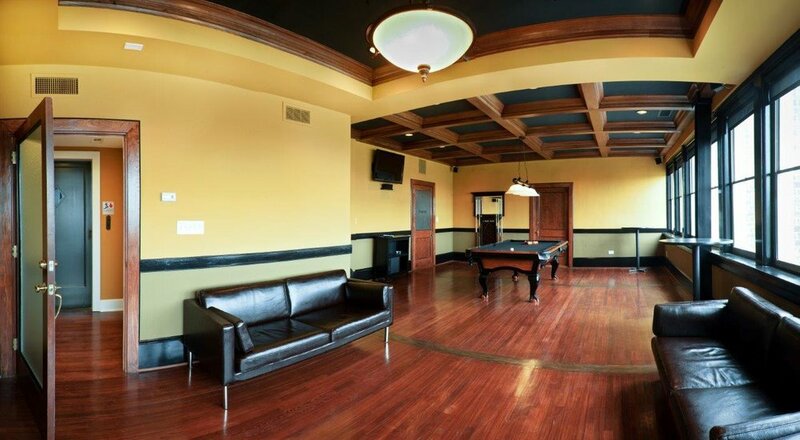 Located on the top floor, the Franklyn Suite, this large space is home to a beautiful Kid Herod pool table, darts, and LCD flat screens. Invite your guests to gather within these walls to relax with the views overlooking historical downtown Thomasville. Offering a wide verity of packages to fit your needs. Take in the breathtaking Golf Course that provides a truly memorable setting for exchanging your vows. A ceremony fee applies. Photo Opportunities abound at Colonial Country Club! The golf course landscapes and stunning gardens provide an unforgettable backdrop for your wedding day and album of one-of-a-kind wedding photographs. Angel's Cottage on the Lake is an Outdoor Wedding Venue in Thomasville, NC. The gated property includes a luxurious four bedroom home secluded by 30 acres of land. Making this a unique setting. There is a party room off the dock by the lake with private bath and indoor fireplace. French doors open to a patio and a private lake. The lake is as beautiful during the nighttime as it is during the day being surrounded by park lights and a walkway. Beautiful woods open to reveal gently rolling meadows offering a private and quaint setting for your special day. Secret Meadows provides an ideal location for your wedding. They are conveniently located near I-85 and Highway 109, just a few miles from the city of Thomasville, North Carolina. Yet, they’re able to offer a serene location full of nature's beauty including a large pond, wooded picnic areas, and over seven acres of fields. A beautiful 60' x 48' barn, including two large covered porches. A new, rustic barn facility provides over 1,700 sq. ft. of indoor space plus an additional 1,100 sq. ft. of covered outdoor space for events. There are plenty of rolling meadow areas and a 1.2 acre pond with several ideal locations/settings to hold an outdoor event. The property also has a large shaded picnic area with ten wooden picnic tables stationed throughout. Two large fire pits with bench seating surrounding them, two park (charcoal) grills, and a small playground area are also included in this area. Wedding celebrations. For the bride, they have a small rustic house, KenLeigh’s, available for the bridal party to dress and relax until the wedding time. The house has a kitchen, sleeping quarters and restroom facilities available. However, at this time, it does not have a shower or tub. Use for the day is included in the package pricing. The house is available for overnight use for an additional fee. For the groom and groomsmen, they have dressing quarters available at the barn. The Stockyard Barn in Denton, NC is an authentic Barn that has been part of the community for decades. It's not super-fancy as it is loved that way. This venue wants their couples to have a comfortable and relaxed experience, They do not require any special caterers, photographers, florists or wedding style. Weddings April and May, September and October. The entire space is yours so you can have your wedding and reception inside, outside...or both! The back lawn is the perfect place for your Ceremony! Enjoy a wide variety of the Tar Heel State's finest wines. From Sweet to Dry, White to Red, you'll be sure to find a wine to make you feel right at home at Old Homeplace Vineyards. The vineyard lies between a 1200 acre Lake Thom-A-Lex and 48 acres of beautiful rolling pastures. Their family has owned this farm for 70 years. Once a tobacco farm, this land now is used for the production of wine which is sure to pleasure the palate of many people for many years to come. The venue now includes The Barn to host your special day. So as this day draws closer. Your worries should now be cast aside. These unique spaces are sure to tempt every aspect of your dreams coming true…. Davidson County has much to offer and has filled its community with a verity to what has become so popular today in the wedding industry. Whether you choose that rustic approach or elegant, we have provided a wonderful start towards your tomorrow. * A huge thank you to all the beautiful venues mentioned above. Your photos have been used solely for the purpose of your venue space. Credits to photos taken by photographers have been uploaded with watermarking. Not all venue spaces in the Davidson County area have been included in this blog.